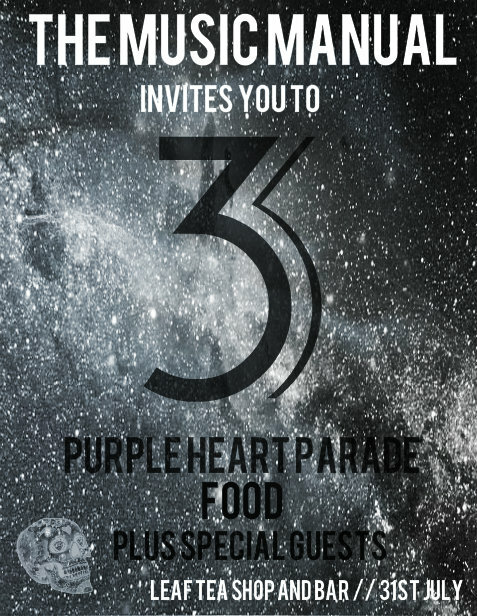 The Music Manual in Liverpool are to celebrate their third birthday on 31st July. The exclusive event will take place at the city's Leaf Tea Shop and Bar, and is held in honour of all the people that have helped make The Manual such a success. 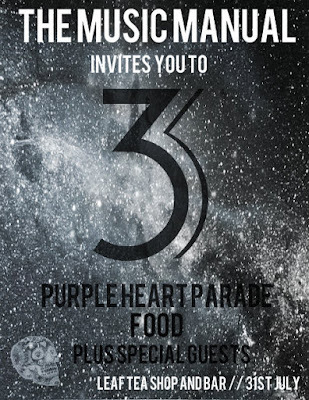 Local four-piece Food and Manchester psych band Purple Heart Parade will be performing alongside special guests who will be revealed on the night. In case you're wondering, The Music Manual is a blog that was first created by Lauren Jones and aims to "bring music to the forefront of society" - it was even the nominated and eventually became a finalist at the UK Blog Awards 2014, ranking in the Top 10 blogs for Arts and Culture in the UK. The event is 'invite only' but a small number of tickets are available for purchase (click here). More information is available on the official Facebook event - click join if you're going!